Mark Zona is a professional bass fisherman, TV fishing personality and the host of Zona’s Awesome Fishing Show on the Outdoor Channel. He enjoys a Keys trip each year and often chases sharks. 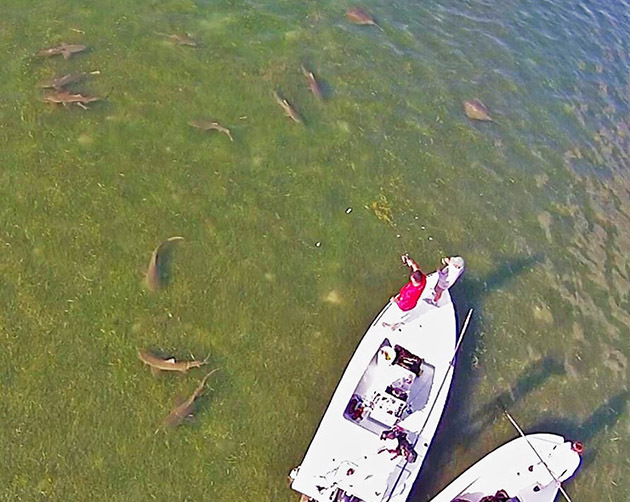 Check out this shark frenzy on video as Mark feeds a pack of hungry sharks by hand. Here are his thoughts on these amazing fish. 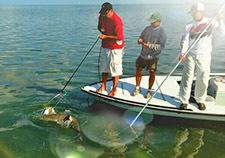 QHow was your recent trip to the Florida Keys, does any of this experience relate to bass fishing? A: It was like every trip I take down there, just awesome!! I chase bass all year, and the Keys are my decompression trip. It’s so diverse you can do anything you want, but in my heart I love chasing sharks in shallow water. I was a boy when Jaws came out and I’m still infatuated seeing them no matter the size or species of shark. QWhat types of sharks did you encounter? QWhat was your impression of sharks before and after your trip? A: I always leave there amazed by their aggression…taping the show this time will really show that. QWhat’s the biggest shark you’ve ever caught? 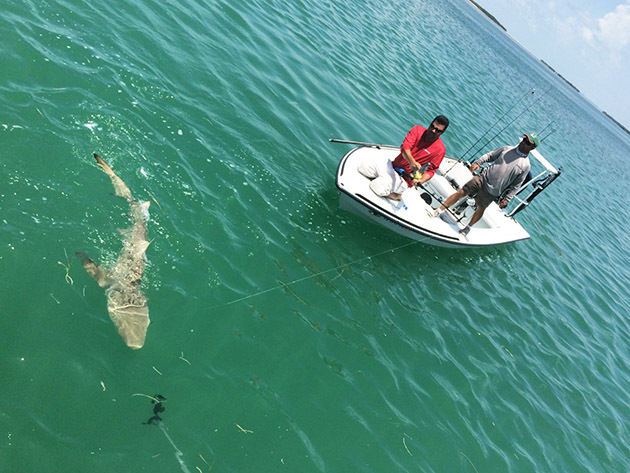 A: A 400-pound hammerhead has been my biggest so far. QDid any of your bass handling skills come into play when a shark was boat-side? A: Not so much at boat-side! I prefer to keep a safe distance, but I got pretty friendly with a few this time around. The connection to bass fishing is the angle of your casts when sight fishing for them…I’m addicted to that! QWhat’s the biggest you’ve seen? I guess I’m not really sure- they’re all big to me. I catch 3-pound bass and say they’re big, so this is another level. QWhat species would you call your favorite? 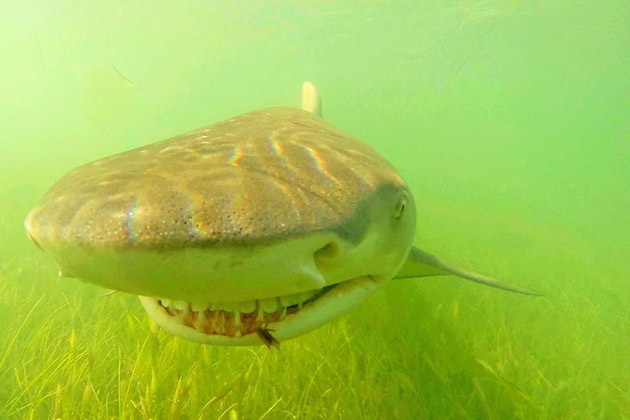 A: Bull sharks – they’re just nasty and in a bad mood. QPlease tell the story of your most memorable shark encounter? A: Both encounters were fishing with Capt. Steve Impallomeni in the Keys. It was the first time I took my 12-year-old twins down there to chase sharks for their first time and feeding a big lemon shark by hand. Both are things I’ll never forget…that place is just incredible.